As 2013 winds down and winter has finally proven itself by giving us its anticipated cold shoulder, it seems fitting to put a beer in hand and reflect back on the changes we've seen in Montana's beer-scape this year. Honestly, it is a pleasure to be able to write this kind of post, especially for a year that is arguably one of the "best" in terms of Montana's stellar craft beer industry. While no recap can ever capture every worthy detail, hopefully this one highlights some of the most notable accomplishments and gives due praise to those who made them happen. So let's get started...with the beer of course! Also this year, Big Sky Brewing added new beers to cans as well. Among the "growth" in the Montana beer scene, we can easily point to two things: beer fests and homebrew competitions. 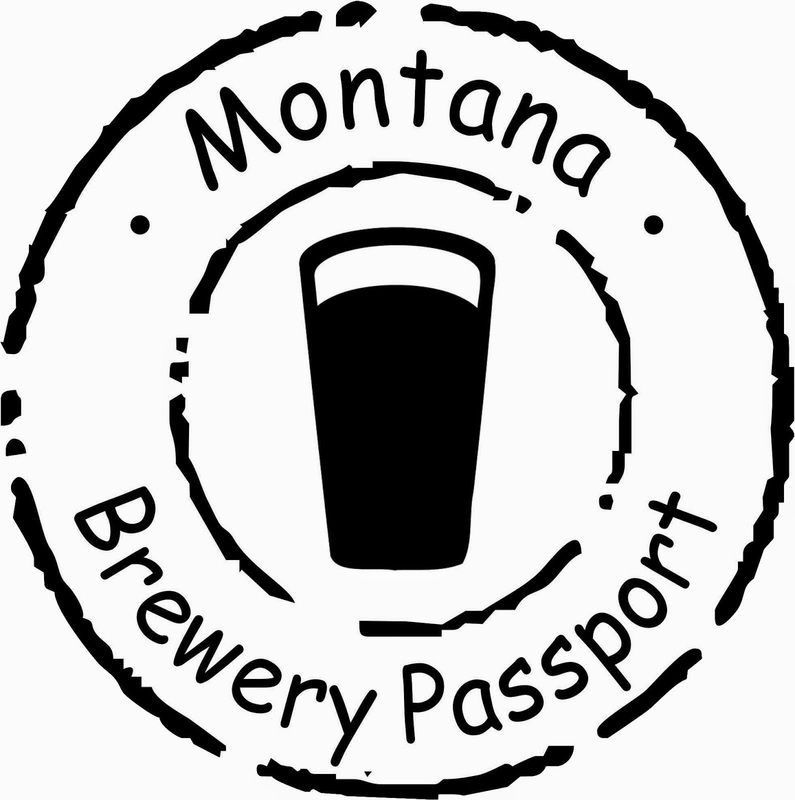 In September 2013, the Montana Brewers Association hosted the largest Montana-only beer festival to-date in Missoula. It was the 5th Annual MBA Brewfest, overall, and it brought in and poured over 80 different Montana craft beers, with over 18 unique festival releases. The MBA also hosted a very special guest that has lead the brewing and homebrewing industries for years. Charlie Papazian came to Flathead Lake for the "Best State Association Gathering Ever!" The 2nd annual Missoula Craft Beer Week grew too! The week-long event hosted or partnered with 29 different beer events and boosted the local economy by over $10,000 (not including ticket sales from the Garden City Brewfest or any spike in overall beer sales). When it comes to competition, homebrewers have shown a willingness to put together some amazing beers. New for 2013 was the Montana Mashup, the first-ever statewide homebrewing competition, pitting homebrew club against homebrew club. This year it was held in Bozeman, Montana. Next year it will be in Missoula. 129 beers were entered into the competition among nine different categories (making it the largest homebrew competition in the state). The winner, Clint Nissen, won "Best of Show" (go Zoo City Zymurgists!) with his Saison and got to go to Bridger Brewing and commercially brew his beer. The trophy for the first-ever Montana Mashup homebrewing competition. Also bigger went the state's biggest brewery. Big Sky Brewing will install the state's first 60 barrel brewhouse right before New Year's. Already producing about 48k barrels annually, ranking it 47th among the top 50 breweries in the U.S., Big Sky Brewing will be able to operate at its desired capacity (which is up to twice its current volume) without having to brew 24 hours a day, as it currently does. For even more growth-related news, this year marked the return of Kettlehouse Cold Smoke and its other beers to both the Flathead and Helena markets after an extended absence due to increased demand from its home Missoula market. Lewis and Clark Brewing has been growing by more than 50 percent annually and expects to hit the 10k barrel limit within two years. It is now in the planning stages to expand its operation with a liquor license (as Kettlehouse did in Missoula this year). On July 30, 2013, Montana's craft beer industry, history, and culture were officially put-to-page with the printing of Montana Beer: A Guide to Breweries in Big Sky Country (History Press). 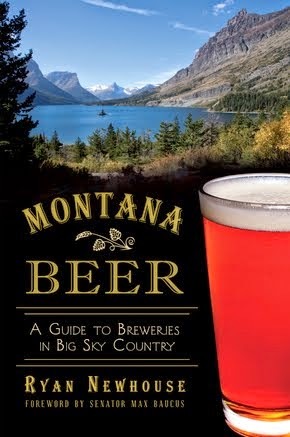 It is Montana's first and only guidebook to some 37 breweries and provides a "Reader's Digest" version of our 150-year brewing history. Authored by Ryan Newhouse, with a foreword by Senator Max Baucus, it only took less than four months before the first print run completely SOLD OUT! Before 2013 officially closed out, three new breweries opened its doors. Homestead Ales in Eureka opened in August, Mighty Mo Brewing opened on December 6, and Canyon Creek Brewing in Billings will pour its first pints in December. The brewing community also lost a couple breweries. Desert Mountain Brewing closed (at least through winter they claim, though the brewery is for sale , as is a brewery in Livingston), and Bones Brewing (a side brewery project from Yellowstone Valley Brewing Company) closed in November. 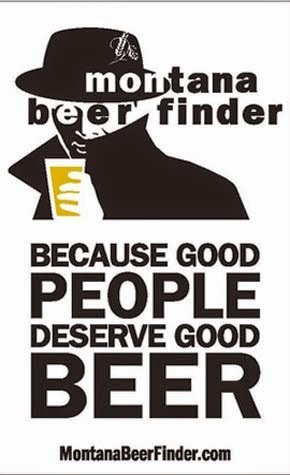 To wrap up, Montana Beer Finder will celebrate its 2nd anniversary on January 25, 2014. And if you haven't found us yet on the social networks, we are on Facebook and Twitter. 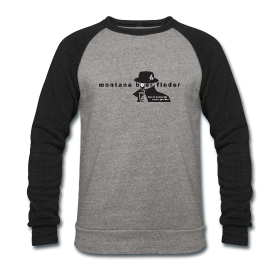 And, oh yeah, we do have some limited advertising space available for 2014. Just contact us for details! Great info thanks for what you do to spread the news about craft beer in Montana. Thanks Max! And congrats on your incredible annual growth and good luck with the expansion project and zoning request. Cheers! Has the Big Medicine Brewing established a location yet for their brewery in Missoula? The last we have heard they are still considering a couple different locations, mostly in the downtown area. A conditional use request for a micro-brewery (Ice Bridge Brewing Company)and micro-distillery (Flathead Vodka now to be renamed Montana Distilling Co) at 139 East Main St.go forth to City Council tonight at 7 pm. Here is a photo of the proposed plan. Does anyone know if this posting is for the Ice Bridge Brewing Company or Big Medicine Brewing Comapny?